In couple of cases, either on fresh VDP deploy or an existing deployment, the connection from VDP to web client via the plugin might fail. 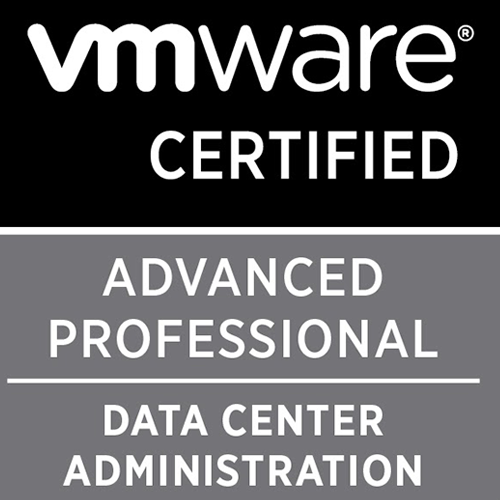 Unable to connect to the requested VDP Appliance. 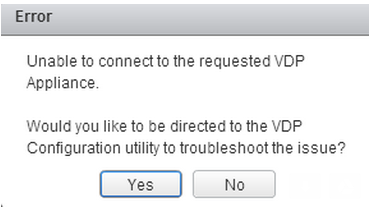 Would you like to be directed to the VDP Configuration utility to troubleshoot the issue? The vdp-configure page does not tell much about any of these errors and all the services seem to be running fine. You can also try restarting tomcat service on VDP using emwebapp.sh --restart, however that would might not help. In an event when we see this back trace with the com.emc.vdp2.api.ActionApi, the connection call is unavailable when a login request is sent by VDP. And due to this the connection fails. To resolve this clear the SerenityDB on the vCenter Server. Follow this Knowledge base article for the procedure. Post this, re-login back to web client and then connect to the VDP appliance and it should go through successfully.